Type – P-OLED Capacitive touchscreen with 16M colors. LG V30 comes in Bangladesh September 2017. 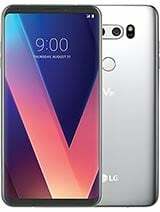 LG V30 smartphone comes with a 6 inches Full 2K HD Display with a resolution of 1440×2880 pixels. Under the hod this device has Qualcomm Snapdragon 835t with 4 gigs of RAM. This device packs 64 gigs of Internal Memory that can be increase up to 200 GB via microSD card. LG V30 packs a 16 MP rear camera and a 5 MP selfies camera. This device runs Android 7.1.2 and is powered by a 3300 mAh non removable battery. This device support single SIM card slot and LG G30 price in Bangladesh approx 59,900/- BDT.